MCBS is web application Development Company focused on changing the approach for our clients believe the online apps. 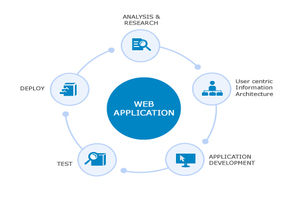 Our web applications follow a level n-tier style methodology, therefore permitting growth and growth. Our solutions are extremely innovative and effective. Our web solutions are simple, efficient and in-built, even for not-so-technical users. Our web applications are deployed meeting deadlines and with accuracy. Our solutions are reliable and need minimal maintenance. We have a tendency to use Multiple Languages and databases like XHTML, Microsoft SQL Server, Oracle, CSS, XML, MySQL, .NET, classic ASP, PHP, JSP and ColdFusion on both Windows and Linux.